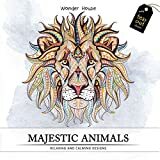 Best Adult Coloring Books – Top 10 Coloring Books for Adults in India to buy online - Top 10 In India - Only The Best of everything! LATEST product list, updates regularly! Besides being a great way to spend time, adult colouring books are also great gifts. If a birthday of an adult is coming up and you really don't know what to give her, then an adult colouring book may be just the thing. The person receiving the gift may not know about adult colouring books, but when they get one, they may discover something that will give them hours and hours of pleasure. A colouring book for adults comprises of intricate single line illustrations and designs that have to be coloured using colour pencils. The colouring sounds like a kid's activity right? Wrong. In an adult colouring book, the colouring can be very intricate and can completely and totally immerse you in it. It also has a very calming effect on you. If you haven't tried one yet, we suggest you try one today. Just choose from the many featured in this article and order it online. My first adult colouring book was a classic that was given to me by my sister who lives in the UK. 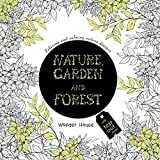 It was called Secret Garden: An Inky Treasure Hunt and Colouring Book. And truly, it was the best way to start my journey with colouring books, because it is still the all-time bestselling and best adult colouring book out there, that has sold well over a million copies worldwide. This book was created by Johanna Basford and since then she has come out with any more, including the next edition called Enchanted Forest: An Inky Quest and Colouring Book. And this new one, if I may say so, is even better. I love Adult Colouring Books, take me straight to the Top 10 Adult Colouring Books in India! Well before we move further let me tell you that I am 39 years old and have two kids, and hadn’t touched colour pencils for well over twenty years before I started colouring Secret Garden. And today, I literally don’t leave home without my colouring books and colour pencils. Well I do leave for office without them but otherwise if I am going out for a trip or some place where I may have some free time, my set of favourite colouring books and my brand new 48 shades colour pencils set are always with me. And I personally know at least three other people who are aged 17, 45 and 72, who are total fans of colouring books. One is a colleague to whom I only introduced the idea of colouring books for adults, one is the daughter of a family friend and the third is a wonderful and inspiring lady who is well, quite well known. Let me tell you why it is that I have become a fan of colouring books. The Secret Garden: An Inky Adventure and Colouring Book was lying around at home for a good two weeks before I finally decided to try and colour a small portion of a page with my daughter’s set of 12 Staedtler Luna Colour Pencils. She was pretty unhappy, being a vociferous 10 year old, and let me use them only after I had promised her a new set. That first night when I put colour pencil to intricate design on lovely paper for the first time, I didn’t even realise where 30 minutes went by. It was magical. I had found a Secret Garden where I forgot to worry, and forgot to stress. It was all about filling the next little beautiful space with a colour of my choice. And then looking at a beautiful magical image come to life. And every colour in it was filled by me. It was beautiful, intricate and alive. And it was my creation. What a feeling! Let me confess that I have never been very creative or artistic. I did my share of a few crayon and poster colour paintings in school only because you had to attend art class, but beyond that I was as far from art as possible, dealing more with corporate matters and household matters. That day I finished a good chunk of the drawing made by Johanna Basford, and it took me quite a lot of time. And you would imagine I would be tired after colouring for more than an hour, but to my surprise I felt fresh and light headed… and overall happy and satisfied. That’s when I first realized the power of the simple act of colouring and losing yourself in the intricate designs of an adult colouring book. It was therapeutic, meditative and just wonderful. Since then I have devoured colouring books by the dozens, and my appetite is growing day by day. Well that was a bit much. No, my appetite is not growing day by day and I am not finishing off colouring books in one day. That’s not it. It’s not about how many you coloured or how well. It is about the experience of colouring. Those minutes or hours when you are colouring, you are in another world, hazily lost to the things around you. And then you gently come back to the real world, somehow refreshed. Actually, it takes me the same amount of time to finish one intricate drawing today, as it did before, and there are times when it takes longer. That is because I am discovering new shades and new ways of shading and new colour combinations and new creative impulses every day. Get your own copy of the Magical Jungle here! A colouring book for adults is a brilliant invention according to me. It is a way to relieve the stresses of modern day life, a way to find your center and make peace with your whirring mind. It is a vent to your creativity and a river of calm to swim in. And all you need is a set of colour pencils and a colouring book. Let me tell you that if the colouring book is beautiful and the designs are intricate and the quality of the paper is good, and the book is well crafted, everything is much more enjoyable. You can definitely take a printout of a design from the internet, there are many free adult colouring sheets available, but it won’t be the same. A beautifully designed, carefully crafted adult colouring book gives much much more pleasure than a print out on a loose sheet can. If you want a free adult colouring book, then check out this one – Adult Colouring Book for Mindfulness and Relaxation by Lisa Callinan, it is a pdf file with 36 colouring images. It also has some interesting introductory text talking about the mental benefits of colouring repetitive designs in colouring books for adults. For someone who wants to start, my suggestion would be to go for the real deal, the Secret Garden: An Inky Adventure and Colouring Book. 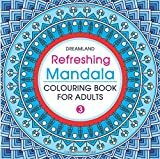 If you feel you want to start with something that is cheaper, then you can think about Refreshing Mandala (You even get a pack of 5 Mandala colouring books) or Escape to Wonderland, both of which are under Rs. 200 and pretty decent to start with. As far as colour pencils go, take a set of 24 Faber Castell colour pencils to start with, then work your way up to a 48 shades Luna Staedtler set. A nice little tip is to use regular colour pencils with water colour pencils, as the water colour pencils are softer and are great for adding shades and hues. Staedtler Luna colour pencils are water colour pencils. I enjoy using colour pencils the most, but that doesn’t mean using ink pens, sketch pens, water colours or poster colours will be any less fun. I find that with a colouring book, dipping a brush into colours again and again, and making sure nothing drips and colouring within the intricate lines with a regular brush gets a little too difficult (of course some of you may be good at it and will love it), that is why I suggested the brush pens above. The Sakura Koi set is pre-filled with colours, but you also get fillable pens with a brush at the end. So you just fill it with water, and then use it like a brush pen. Just wipe away and use another colour from your waetr colour set. You will find the water fillable brush pens here – Water Brush Pen. Now that you have a bit of idea what adult colouring books are all about, we can explore some of the best colouring books available today. With the rapidly growing popularity of colouring books for adults in India, there are now a very wide variety of colouring books available to buy online. They range from colouring books with drawings themed on nature, wildlife, cities, history, Indian culture, the Indian Epics, local Indian art, famous celebrities and lots more. As expected Johanna Basford’s Secret Garden is my all time favourite. If you are keen to check out all the books by Johanna Basford, then you can visit her website – JohannaBasford.com (https://www.johannabasford.com/books/). You may not be able to buy her books from her website, but you will get most of them here – Johanna Basford colouring books on Amazon India. The incredible imagination of Johanna Basford just takes my breath away. The Lost Ocean is so intricate and beautiful that I can keep gazing at the drawings themselves. There also an adventure hidden in the pages as in her other books. This one is a magical adventure for sure. This one truly makes you feel like you are creating one of the great Impressionist masterpieces with your own imagination. It recreates the great paintings whose pictures you must have seen somewhere. I had a few of them hanging on the walls of our home (prints of course, the originals would cost millions of dollars), and feel a deep kinship with them. A real mind opening and elevating experience. This one makes my list because it is packed with positive messages, happy thoughts and of course beautiful drawings. It has been created by a talented artist by the name of Jess Volinski. 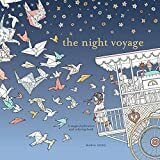 If you feel that you have seen her work somewhere, you may actually have because her illustrations have appeared in many publications, apparel, stationary, and tableware available across the world in major retail stores. This is an interesting colouring book titled Around India in 40 doodles. It features interesting observations of different places in India, including trips to hill stations and places of tourist interest. Have a look at Around India in 40 Doodles here. 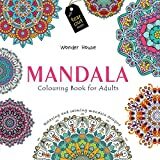 This is an outstanding colouring book featuring Madhubani art. The quality of the art and the book is excellent. You can pull out the sheets and frame them if you want to. I absolutely loved this one. A favourite of mine. Have a look at Shakuntala and her Magic Box here. Though this book says Bollywood, it is basically India inspired designs and patterns. There aren’t any Bollywood stars or movie scenes recreated if that is what it make you imagine. Go for it if you want some very intricate India centric designs and patterns. Have a look at Bollywood 70 Designs to help you destress here. Bagh e Bahar A Mughal Garden is quite an interesting colouring book with scenes from the Mughal era centered around the gardens. There are intricate designs with Mughal era art and design with some human figures also in them. All in all a very interesting colouring book, worth exploring. Have a look at Bagh e Bahar A Mughal Garden here. Who doesn’t like Madhubani art, and when it is converted into a colouring book, it is just too good. This lovely rendition of Madhubani art into a colouring book will, be doubly enjoyable if you like Indian art forms like Madhubani and Gond art. Have a look at Colouring India Madhubani Art here. Equally exciting for me was the second colouring book in the series on Gond art. This too has a wonderful appeal and really beautiful and intricate designs to fill with colours. Have a look at Colouring India Gond Art here. If you like colouring Gods and Goddesses and spiritual symbols and designs, this is for you. It has very high quality art work transformed into an adult colouring book and will give you many opportunities to colour in and feel the awesome spiritual and mythological richness of India. Take a look at The Shakti Coloring Book here. 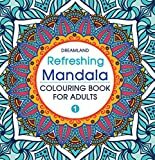 These are slightly unusual adult colouring books, that you will like only if you are interested in the unique theme of the colouring books. These are a few distinctly odd and off-beat colouring books, including swear words colouring books, that not many will want. And now, onwards to the Top 10 top Bestsellers in India in colouring books for adults. This list of the Top 10 Best Adult Colouring Books in India in 2018, are the real bestsellers in India. The list is updated every day, and dispassionately features only those colouring books that have been bought more than any other. That means that you will not only get the latest colouring books to enter the market you will also get those ones that have been bought by more Indians than any other colouring books. That means they are tried and tested and people keep coming back to buy them. When you choose from the Top 10 Best Colouring Books for Adults in India in 2018, you end up getting the best value for money and the best colouring book deals in India. Of course when you choose anything from Top 10 in India you always get the best of quality and reliability. Mandala is a symbol made from circles, squares or triangles that represents the cosmos. Colouring is the best calming tool that unleash your inner creativity.